KISSIMMEE, Fla. – Tyler Pearson picked a heck of a time to take some time off. 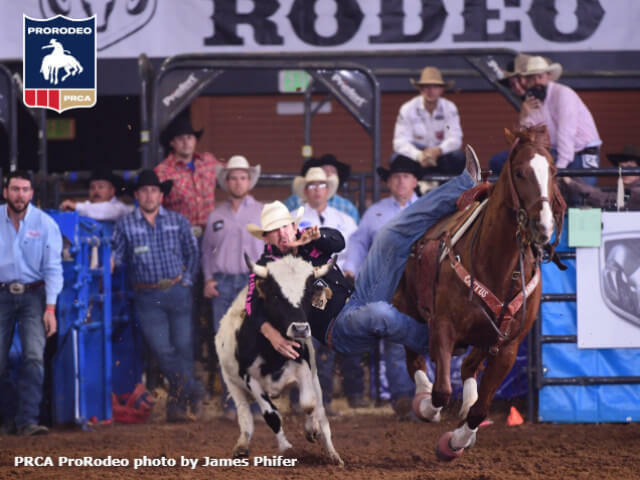 Joining him will be Scooter, the 2017 and 2018 PRCA | AQHA Horse of the Year for steer wrestling that Pearson rode to the win Sunday. Three of the four qualifiers in the RAM NCFR finals were riding Scooter. In addition to the money earned, each event champ also received a voucher toward a new RAM truck; a Polaris Ranger XP 1000; 65 Venture OtterBox Cooler; pair of Justin Boots; a custom champion Montana Silversmiths buckle; and a champion saddle handcrafted by Cactus Saddlery.